I am so thankful to have a job that doesn’t feel like a job. I feel very blessed to be called to teaching and to love what I do. 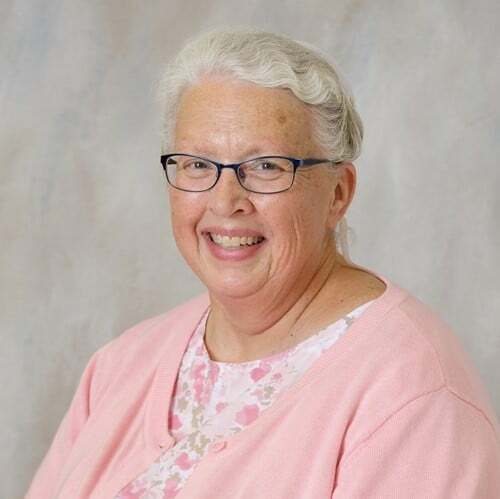 I am in my 30th year teaching first grade at Ephrata Mennonite School, where I also enjoy being the Curriculum Coordinator, serving on the accreditation planning team, and sometimes being involved with secondary school activities. I teach Sunday School and Bible School and do home-school evaluations. Reading, gardening, sewing, crafting, babysitting, and traveling are other areas of interest. One of my goals is “to know Him and to make Him known” and I aim for that in my teaching and pray that my students may see Jesus in me. "I already told you that!" Buzz Into a Good Book! Taking off! Going up! On your Own! What is the Ideal Teacher? And What Do You Say? Are You Ready for School To Be Out?